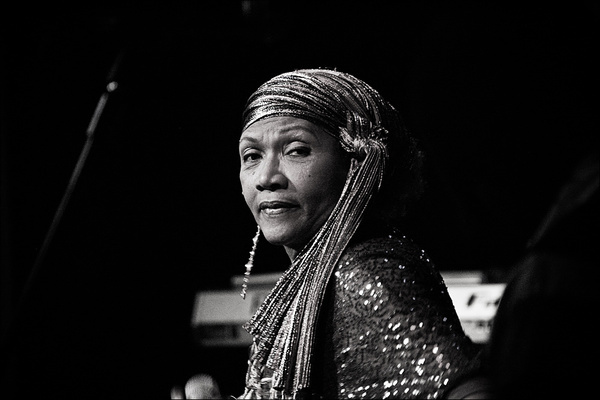 MARCIA GRIFFITH TO RECEIVE AWARD AT 10TH ANNUAL REGGAE CULTURE SALUTE | STREETS OF NEW YORK 411 INC.
Brooklyn, N.Y., October 2014... The Board of Directors of the Coalition to Preserve Reggae Music., (CPR) announced today that “the Queen of Reggae” Marcia Griffiths will receive the coveted Pinnacle Award for Excellence, at the 10th Annual Reggae Culture Salute, taking place on Saturday November 1st, in the Performance Center at Nazareth Regional High School, 475 East 57th Street in Brooklyn. Marcia Griffiths, who is celebrating fifty years as an integral part of the reggae music industry, came to prominence with Bob Andy in the late 1960’s with their remake of Nina Simone’s “Young, Gifted and Black”. She went on to even more fame singing backup harmony for the late “King of Reggae,” Bob Marley, along with Judy Mowatt and Rita Marley in the group known as the I-Threes, and has enjoyed a stellar solo career. Notable among Marcia’s many hits over the years, is the “Electric Slide” a perennial favorite. Whether it’s a wedding, reunion or sweet sixteen party, the song which was written for her by Bunny Wailer will always get the party started. Music lovers are encouraged to come out to support Marcia on this auspicious occasion. The family friendly Reggae Culture Salute, which commemorates the coronation of Emperor Haile Selassie the First and Empress Mennen of Ethiopia, is the longest running event of its kind in New York City. This year’s milestone staging of the multimedia celebration includes nyahbinghi drumming, dancing, rituals, video presentations and live roots reggae performances. Joining Marcia Griffiths will be roots reggae crooner, Everton Blender who returns to Reggae Culture Salute by popular demand as this year’s special guest. The artist who graced the RCS stage in 2009 returns to thrill the audience with hits such as “Ghetto People Song” and “Life Up Your Head” among others. CPR members will also showcase their talents as CPR presents the Roots Reggae Revival Showcase. Slated to perform are Don Minott from Connecticut, he returns due to popular demand; Simone Gordon from New York City; from Maryland comes Da Real Storm while Tasha T makes her way from Toronto, Canada; former lead singer of the Wailers band Gary Pine will make his debut as will Turban X. CPR Poet Laureate, Ras Osagyefo will also perform. Backing band will be the CPR All Stars directed by veteran guitarist Linford Carby. A special dance routine featuring dance moves through the past fifty years will include the likes of noted dancer Alphonso Castro, Shawnee Lee and Sophia Walsh-Newman. Reggae Culture Salute continues in this tradition as CPR, presenter of the event strives to raise the bar in reggae music. Reggae Culture Salute is widely recognized for the character, quality and authenticity of the music it presents and is topped with delicious Caribbean Cuisine, a marketplace and good vibrations. Demand to experience Reggae Culture Salute has gone global and CPR has responded with a live Pay Per View internet stream which can be ordered at www.cprreggae.org. Tickets for the concert are also available at www.cprreggae.org and in several retail outlets.